Siracusa is a historic city in Sicily and the capital of the province Syracuse. 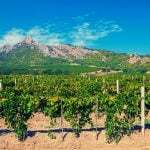 Sicily is a well-known winemaking territory in the southernmost tip of the European continent. We all know that Sicily is one of the oldest winemaking regions with its history dating back to the era of Magna Graecia. Here, we are going to speak about one of the DOC wine regions in this popular winemaking territory. Let’s introduce Siracusa wines to you now. These are the DOC wines from vineyards that are located around the city of Siracusa, an ancient port city. As mentioned above, Sicily is the winemaking territory with a long history. Therefore, it’s obvious that Syracuse has been long associated with wines. Right from the ancient times, the city has been deemed significant in the Mediterranean region. The city was first discovered by the Greek travellers around 2500 years back. Immediately after its discovery, it turned to be a pivotal city because of its accessibility from Greece, Africa, and of course, Italy. If you have known about this region already, you should be aware that Siracusa is famous for its Muscat-based Moscato wines. These are the traditional wines of the city that have been famous since the ancient times. The reputation that was gained by Moscato wines of Syracuse was incomparable to the similar styles of less accessible Pantellaria. Thanks to the city’s accessibility! However, we can see that only very few of these wines are ever made. The little production has reached a point that they are considered as extinct. The present-day wine portfolio of Siracusa consists of a straight red Rosso, as well as a white Bianco varietal. The most prominent grape varieties that are involved in the production of these wines are found to be Nero d’Avola and Syrah. We can observe that the modern-day winemaking trends support dry, red table wines more than the sweet Muscat wines that were famous in the ancient times. However, the historic Moscato wines are still produced in both still, as well as sparkling spumante forms. It’s to be noted that the sweet Muscat wines have been included in the catch-all DOC designation recently. It’s because the production of these sweet wines had fallen to low levels in the year 2011 that the wine authorities had to take attend to it immediately. In this line, they included these wines with the existing Siracusa title to balance the efficiency of wine production. 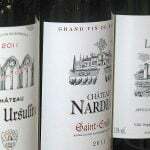 The prominent grape varieties that are being used in the Siracusa wine varieties have already been mentioned. As such, according to the appellation laws, Nero d’Avola should dominate the rosso wines. In these wines, this grape variety should constitute a minimum of 65% of any Siracusa DOC wine. It’s to be noted that the Nero d’Avola as the dominant variety is particularly fitting to the Siracusa DOC wines because Avola town after which the grape has been named, is located just fifteen miles down the Siracusa Coast. Also, there exists a similarity between the names of Syrah and Syracuse, although this is purely incidental. Finally, the traditional variety Moscato Bianco has been grown in the Syracuse vineyards since the ancient times. Still, this grape variety is forming a significant part of the region’s wine industry. According to the laws, this grape variety should represent at least 40% of all the final blends of Bianco wines and 85% of the Moscato di Siracusa wines. We should wait to see what could be the future of these high-quality wines from Siracusa. We are not in a better position to estimate its future state right now.